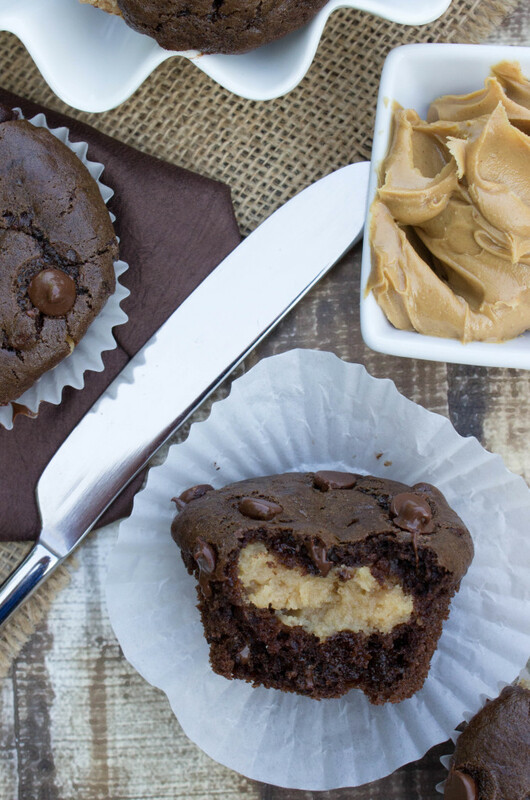 Light and fluffy baked peanut butter muffins — made even lighter with Jif Peanut Powder found at Walmart— glazed with chocolate and drizzled with peanut butter sauce. Well, it happened. That snowstorm I’d been hearing about hit, and it hit hard, leaving us with over 30″ of snow in my neighborhood. Some nearby streets still haven’t even seen a plow 3 days later, though Zach and I have been luckier and were able to make it to work yesterday. Zach spent all day Saturday and a big chunk of Sunday clearing out our driveway. He did probably 97% of the work on his own, but that 3% that I did has left me with sore shoulders, arms, and abs (wherever they are hiding, they are sore). I was glad to get out of the house and do something, though, and shoveling is a great workout. Before setting out to help, I wanted something filling and sweet, but also something that wouldn’t weigh me down while I was working in the snow. I wanted something that would help fuel my contribution to our clear driveway. These donuts were just the thing. I’d mentioned before that I had a few lighter recipes I wanted to share this month as I try to make better eating choices in 2016, but so far I’ve only shared my baked Snickerdoodle donuts which are lighter in that they’re not deep-fried… but still coated in copious amounts of butter and sugar, so I’m not sure how high they rank on the health-o-meter. Today I’m finally getting around to sharing another lighter option (donuts again, obviously), but this time (hopefully) hitting a bit closer to the better-eating mark. 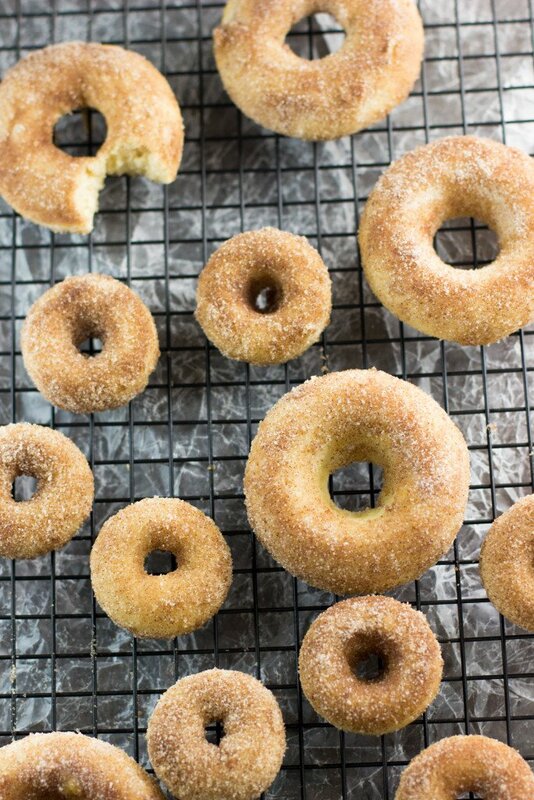 These are definitely donuts you can eat for breakfast without feeling guilty about later. 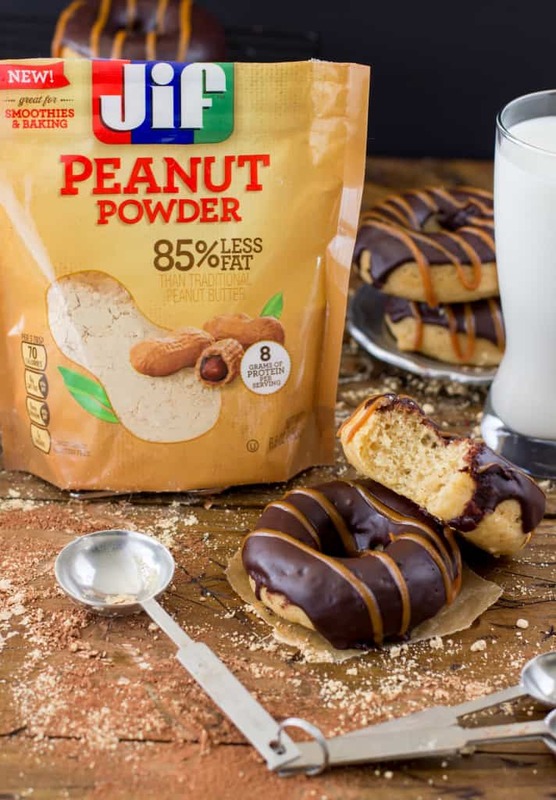 Made with Jif Peanut Powder, which is made from one ingredient — fresh roasted peanuts — and has the same protein as regular peanut butter with 85% less fat, it’s a great lighter option that won’t weigh you down (nor does it weigh the donuts down — these babies are so light and fluffy!). In keeping with the “lighter” theme, these donuts do not have a lot of sugar or fat in them. Made with almond milk, fat-free Greek yogurt, and Jif Peanut Powder, I thought it would be a shame to ruin all of these positives with too much sugar. So the sugar goes on the outside as an optional chocolate glaze, but don’t expect these donuts to be overly sweet. These are not your grocery store, cream filled donuts, these are a respectable breakfast choice (in my opinion, anyway). Yes, these donuts would be a bit better for you if you leave off that delicious dark chocolate glaze (though the peanut butter drizzle is still fair game, considering it’s made with the peanut powder and almond milk), but I know that I had a hard time resisting the glaze myself, so I won’t blame you if you can’t resist, either. 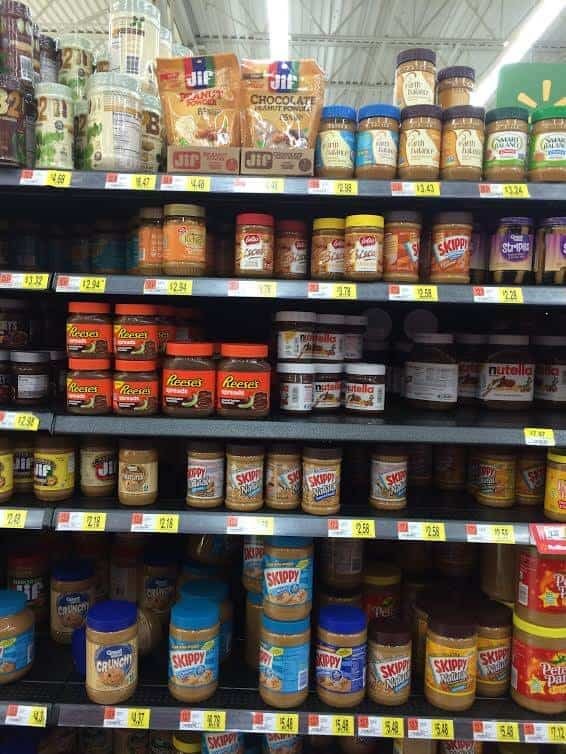 Head to Walmart today to pick up your own package of Jif Peanut Powder (and try out the Chocolate Peanut Powder, too!). Preheat oven to 375F and lightly grease a 12-mold donut pan. 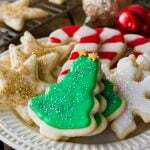 In medium-sized bowl, whisk together flour, sugar, Jif Peanut Powder, cornstarch, baking powder, baking soda, and salt. In separate large bowl, combine melted butter, greek yogurt, lightly beaten egg and vanilla extract. Stir together until well-combined, then add milk and stir again until combined. 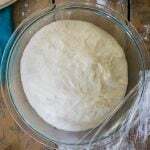 Pour batter into a large ziploc bag and snip off the corner of the bag for a makeshift piping bag (alternatively you can spoon the batter into the molds). Pipe the batter into the donut pans, filling each mold ⅔ of the way full. Bake for 10 minutes. Allow to cool for several minutes and enjoy fresh. If covering with frosting, allow donuts to cool 10-15 minutes before glazing. In medium-sized bowl, sift together powdered sugar and cocoa powder. Stir in almond milk and vanilla extract until completely combined, and then spread glaze over donuts using a butter knife. 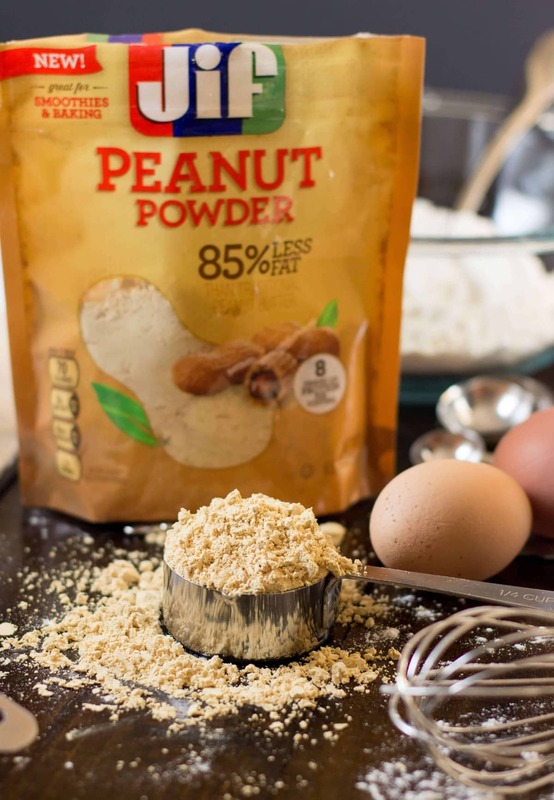 In medium-sized bowl, stir together Jif Peanut Powder, powdered sugar, and salt. 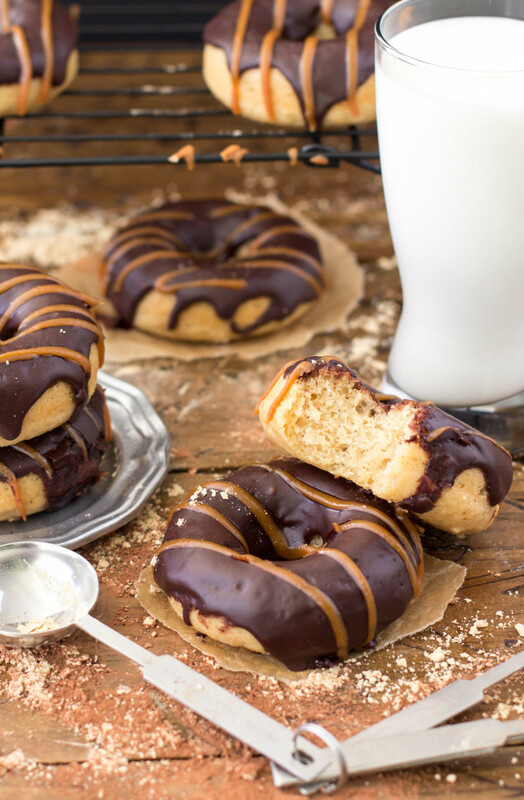 Stir in vanilla almond milk and then use a spoon or fork to drizzle peanut butter mixture over the chocolate-glazed donuts. 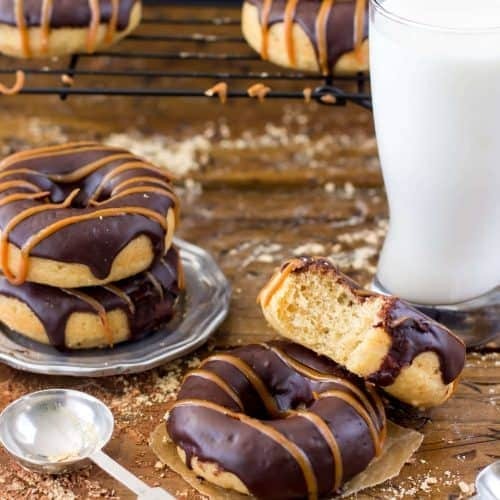 The glaze will harden as you allow the donuts to sit, but these donuts taste best the fresher they are and are best eaten the same day they are made. 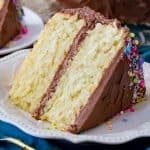 I am looking for a lightened up recipe for a birthday cake for my mom for her birthday. 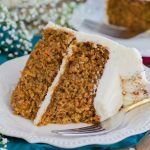 Do you think this recipe would bake up well as a cake? I’m honestly not certain as I haven’t tried it this way, but I don’t know that I would recommend it. I would worry about the cake collapsing in the center, honestly. I’m also not sure quite how much you would have to scale up the recipe to create a good-sized cake. I’m sorry I can’t provide any more information, if you do try it out I would love to hear how it turns out! Where do you find donut pans at? This is first time I heard of them. Hi Pam! Mine are from Amazon.com, you can find them by going there and searching for baked donut pans. I know that some kitchen stores carry them, too. 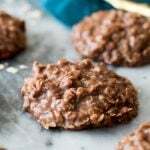 I just found your blog thru the PB Donut recipe I saw on the side of my FB page. I am so excited to try your recipes!!!! Thank you. Glad you guys survived the snow storm, Sam! We got hit, but now nearly as bad as you guys!! LOVE these donuts, doll! 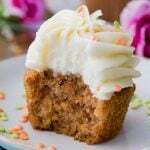 I have a bag of Jif powder in my pantry and I’m thinking I need to get to the kitchen and bake these up immediately!! 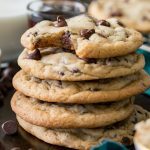 Love that they are baked and I really love love love that drizzle of peanut butter sauce! Plus since they are on the healthier side, I can eat 3… right? Cheers, my dear! 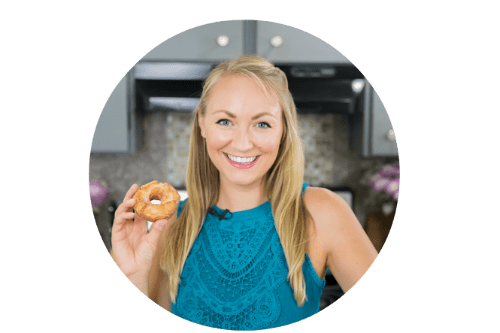 I LOVE the fact that you created a light donut recipe! This makes me happy :). I will absolutely, definitely, 100% have to try this soon! Yum!! I love peanut butter anything, but to combined that flavor with baked donuts…who can resist?? 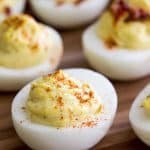 These look gorgous, Sam! 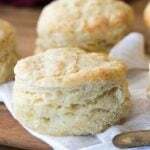 You definitely deserve these after your snow shoveling efforts! Seriously the best combo ever! Thank you, Medha! 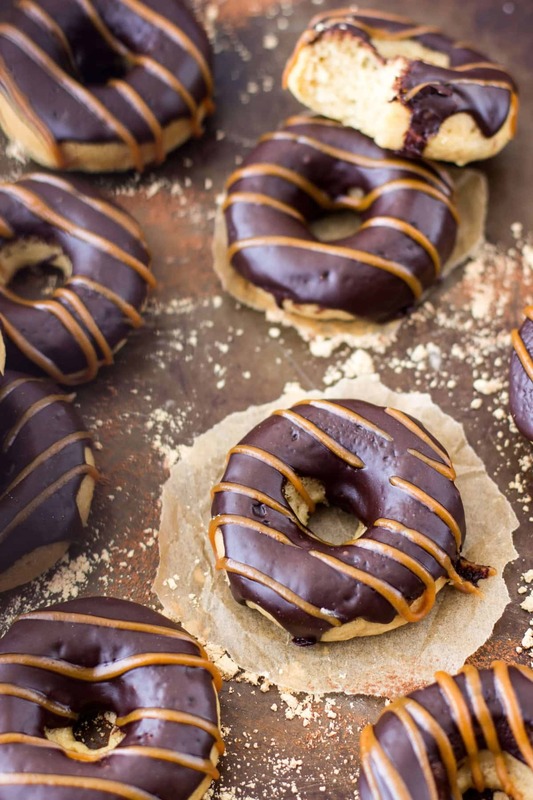 These doughnuts look absolutely scrumptious! 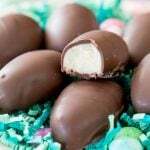 I love the peanut butter drizzle on top of the chocolate! These photos are beautiful and now all I can think about are PB doughnuts! !